Quick appetizers are a must for parties and family get togethers! 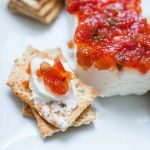 This Pepper Jelly Cream Cheese Appetizer is a huge holiday tradition because it’s super easy to make and the whole family can enjoy it! 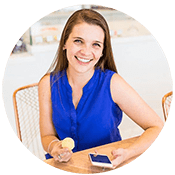 It’s simply a block of cream cheese with your choice of pepper jelly or fruit preserve on top, served with Back to Nature Pink Himalayan Salt Multigrain Flatbread Crackers. 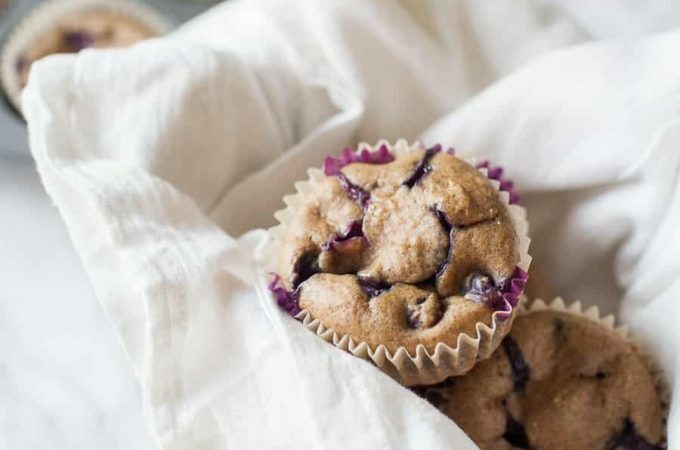 The combination is a perfect blend of sweet, spicy and salty! This blog post is sponsored by Back to Nature. As always all opinions are my own! No matter what your family holiday traditions are, I can bet that there’s at least one of them that comes to mind that revolves around food. For my family, we have quite a few that revolve around food especially on Christmas Day. We always start Christmas Day off with coffee, cinnamon rolls, and an egg casserole while we get ready to open gifts. Around lunch time, we always have a few snacks while we wait for Christmas dinner to be finished, which we usually had for a late lunch/early dinner. I can almost guarantee that that snack will always be cream cheese, pepper jelly and crackers. It’s a snack my mom has loved to serve for years and my husband now loves to have when we are at their house for a holiday or otherwise. It’s the perfect snack to have while watching football, waiting for Christmas dinner, a holiday party or SO many other occasions. And the absolute best part? It’s so incredibly easy. 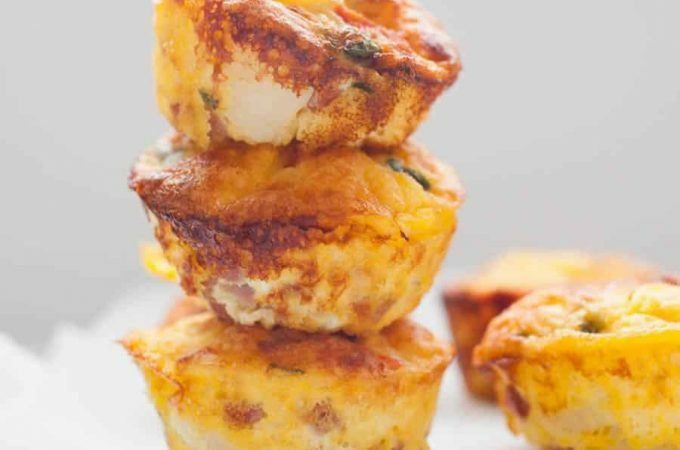 Like, as in, if you can go to the grocery store and pick up a few supplies, you can make this appetizer! 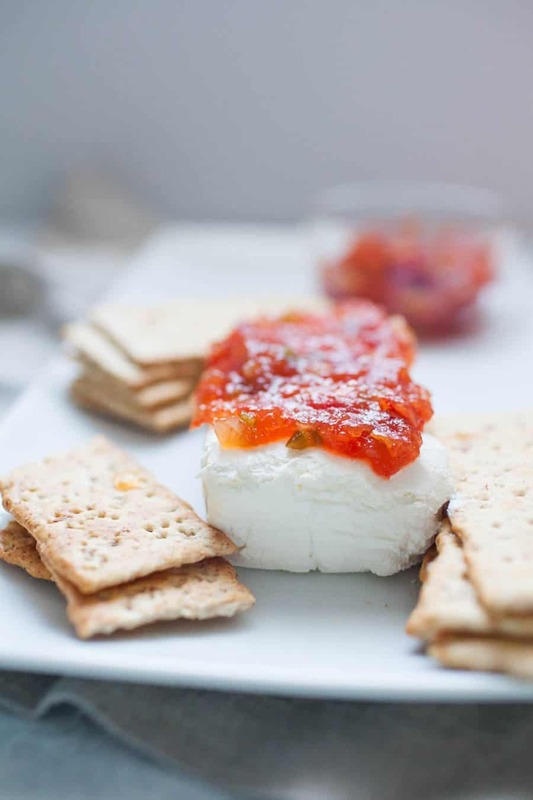 We tend to use a spicy red pepper jelly, because as my brother says “You have to like spicy food to be a part of this family,” but truly any kind of pepper jelly or fruit preserve goes great with the cream cheese and crackers! 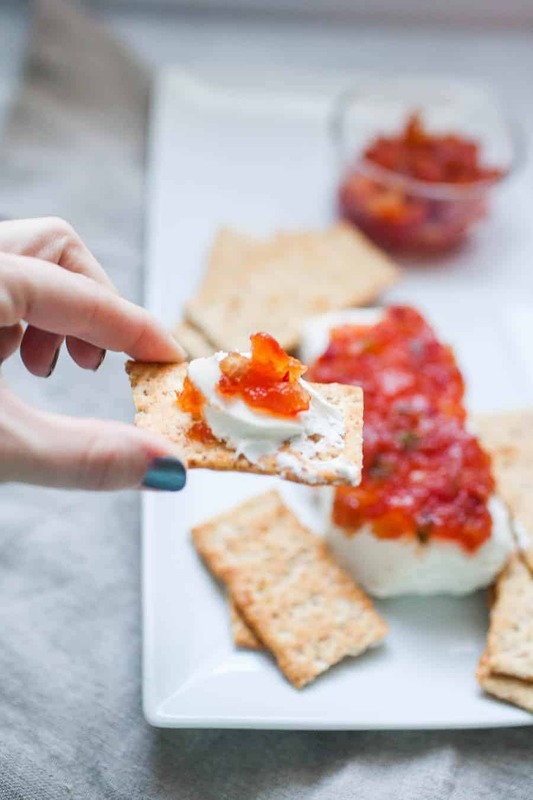 Paired with Pink Himalayan Salt Multigrain Flatbread Crackers from Back to Nature, I think a spicy blend combines with the sweetness of the cream cheese just makes the whole thing a perfect package. I went back and forth for probably too long trying to decide if I should make a homemade version of the pepper jelly for this recipe. But the truth is, when something is this easy, there’s no need to mess with it and make it more difficult. 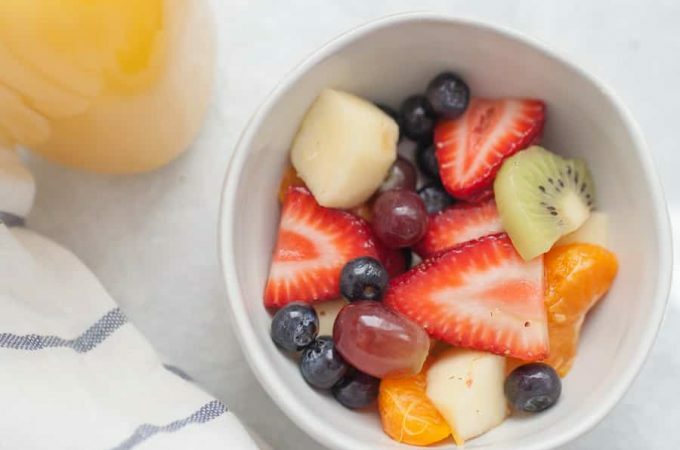 There are so many good preserves out there in tons of different flavors and also ones that do not have added sugar so you can feel good about the whole family enjoying them. Even if your kids don’t usually like spicy foods, they may surprise you and enjoy a hot pepper jelly. My two year old doesn’t like spicy food yet but he didn’t mind the little spiciness that this appetizer had. Or he just ignored it because he loved the cream cheese so much! Regardless of how you decide to handle the jelly situation, these Pink Himalayan Salt Multigrain Flatbread Crackers are a must! They’re perfectly salted and a cracker you can feed to your whole family because they are non GMO verified products. And did I mention they are delicious? Quick appetizers are a must for parties and family get togethers! 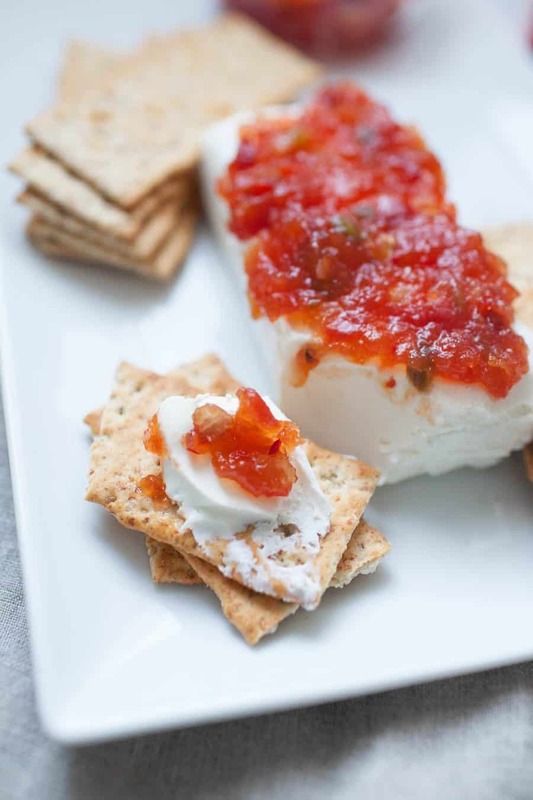 This Pepper Jelly Cream Cheese Appetizer is a huge holiday tradition because it’s super easy to make and the whole family can enjoy it! It’s simply a block of cream cheese with your choice of pepper jelly or fruit preserve on top, served with Back to Nature Pink Himalayan multi-grain crackers. The combination is a perfect blend of sweet, spicy and salty! 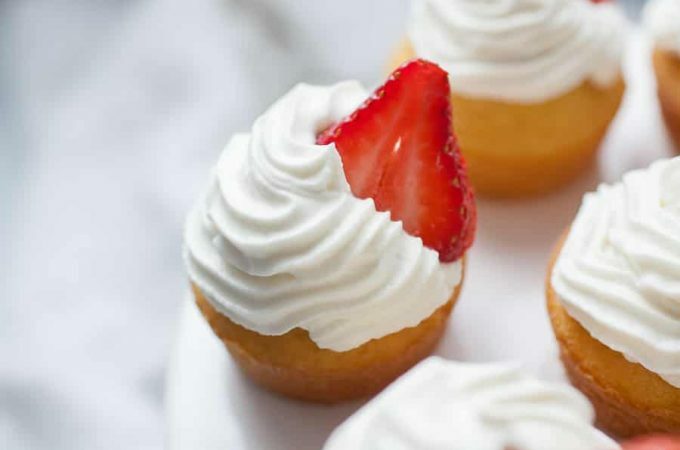 Unwrap cream cheese and allow to come to room temperature on serving dish. Spoon pepper jelly onto cream cheese block. Serve with crackers, adding more pepper jelly as it’s eaten, if necessary. Such an easy, yummy recipe with Back to Nature Crackers!